宋朝的治理和经济都很强，为什么军队那么弱？ [美国媒体] Why was the Song dynasty militarily unsuccesful despite their great governance and economy? Why was the Song dynasty militarily unsuccesful despite their great governance and economy? 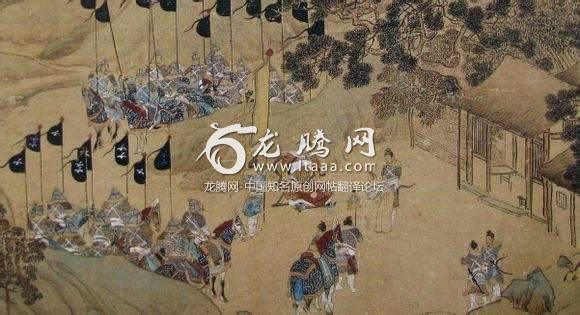 The biggest problem for the Tang dynasty, which preceded the Song dynasty, were the military villages or 藩镇。The Tang dynasty had to deal with the An Lushan Rebellion and before that, fought the Battle of Talas with the Arab Islamic armies in central Asia. What makes Zhao interesting is that by not executing his generals, he set the tone for the whole Song dynasty: he was a military leader who only reluctantly used military power. Before getting into the reasons for why the Song did not choose to use military force, it is worth remembering that it lasted for nearly 300 years, which is the general standard for Chinese dynasties. The dynasty was more focused on political theory and commerce than the Tang dynasty, and there was less influence from central Asia than during previous dynasties. For a long time, I believe that the Song believed that their mastery of the arts, culture and commerce gave them an advantage over the Jurchen and the Mongols, and that the Song court would be able to buy them off. And he was a general of Zhou dynasty, not Liao. Harvey King, born in Taiwan, grew up in US, family rooted in mainland China for centuries. 1. Song Dynasty never managed to conquer the part of Northern China where the Great Wall was located. It is probably the only major dynasty that didn't have the Great Wall as protection. Had the Song Dynasty had the Great Wall, the history of the world probably have to be re-written, as Mongolians probably couldn't get very far later without knowledge of how to lay siege to a Chinese city. 2. Song Dynasty was established by staging a military coup. As result, the royal family never trust the armed forces and was constantly trying to ensure the army was in check, even at the expense of fighting effectiveness. The new point of entry for proto-Mongol and proto-Manchu peoples was the Beijing area, and the Song never gained control of this area, known as the Sixteen Prefectures, for more than a couple of years. Starting in the mid-Song, Beijing became the capital for large northern states and then China as a whole.